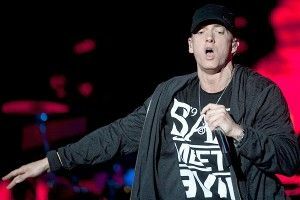 Early this morning GMT — or, as it’s also known, Blimey O’clock — the UK’s Reading and Leeds Festival revealed Eminem as 2013’s first announced headliner. Congratulations, Eminem! I’m not having hip-hop at Glastonbury. It’s wrong.” Of course, Jay ended up winning the day. He came out at Glasto with a guitar slung around his neck and led the crowd in a shaky “Wonderwall” singalong. Wonderful. Clearly, Jay’s triumphant performance that night changed some minds about exactly where rap “belongs”; now let’s hope Em can follow in his footsteps, and keep it moving forward. I guess what I’m saying here is, Marshall, do you know “Cigarettes and Alcohol”? Grading the Top 10 Country Songs in … CANADA!